What next for South Sudan? The conflict in South Sudan continues to devastate the local population. As we come to the end of 2017, an estimated 1.87 million people have been internally displaced and a further 2.01 million refugees having fled to neighbouring countries. 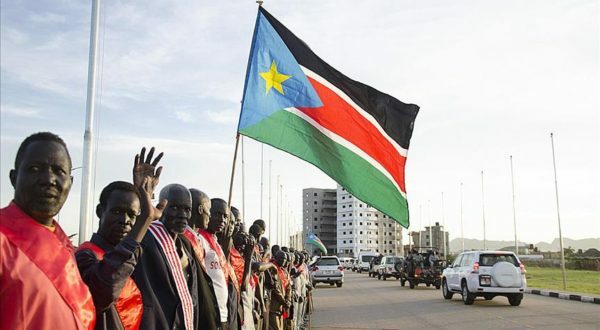 The world’s youngest country, South Sudan gained independence from Sudan in July 2011. But deep-rooted tribal and ethnic divisions, widespread socio-economic disparities and a governing elite steeped in corruption and clientelism meant that South Sudan was perhaps, from its inception, doomed to fail. At the time of independence, the country effectively run by NGOs. Little has changed with a widespread failure in governance and accountability across the board. The US adopting an ‘America First’ approach to international diplomacy will mean that peace-keeping budgets are due to be cut. It is vital, therefore, that the ruling elite in charge of South Sudan start to take responsibility for their own people that they have so far ignored. In October, the US Ambassador to the UN Nikki Haley visited the capital, Juba to declare that US support for ongoing UN peace-keeping mission UNMISS would start to look more critically at what returns this investment is delivering. UNMISS has been in operation since 2011 and currently contains 17,000 troops with an annual budget of over $1 billion. The making of strong institutions in South Sudan faces severe challenges of capacity building and service provision. Inadequate infrastructure projects have been put on hold time and again by an ongoing conflict and a resulting uncertain investor climate. With a population growth rate of 4.1% and a median age of 18.6, the national government faces enormous challenges. Little opportunity is provided for an ever-growing young population born outside of a complex network of patronage for the governing elite groups. South Sudan erupted into conflict in December 2013, when President Salva Kiir of the Dinka ethnic group fired vice-president Riek Machar, of the Nuer ethnic group. The appointment had been made in part to create an inclusive government, represented by the two largest ethnic groups in South Sudan. Fighting began in Juba with ethnically-targeted killings and quickly spread to other parts of the country, with 10,000 civilian casualties and 700,000 internally displaced persons by March 2014 alone. In July 2015, a Transnational Government of National Unity (TGoNT) was put in place as – with help of regional body the Intergovernmental Authority on Development (IGAD) – part of a comprehensive peace agreement between warring factions. Machar re-entered government with own forces intact, only to be sacked again in July as fighting again broke out in the capital and other regions. The violence led to the replacement of Riek Machar with Taban Deng Gai as first Vice-President in a bid to create pragmatic consensus between factions. But the more failed to gain wider domestic credibility with the Sudan People’s Liberation Movement/ Army in Opposition (SPLM/A-IO), who largely resisted calls to disarm and vowed to continue with an armed insurgency. An IGAD proposal for a regional protection force was accepted by the UN and put in place around Juba to improve security and prevent further conflict. Famine was declared in Unity State in February, with 100,000 people said to be dying of hunger in a crisis that was according to the UN ‘man-made’ by civil war and economic collapse. The famine ended in June, but 1.7 million people are still considered to be living in conditions of emergency levels of hunger, one category below famine. Humanitarian logistics have been particularly challenging in a country within which in some areas virtually no reliable road infrastructure exists. The costs of humanitarian aid provision stand overall at $1.64 billion. When South Sudan voted for independence, Sudan lost three-quarters of its oil production and half of its fiscal revenues overnight. The loss was calculated to be an estimated $6 billion per year in oil revenue. The large natural resource stocks for South Sudan are an important factor in the dynamics of the local and regional politics, and unreliable production – caused by conflict and regional tension – has frequently stopped the flow of oil production. It accounted for 98% of government revenue at the time of independence. At peak production in 2011, South Sudan was producing 350,000 barrels per day. This has fallen to 110,000 due to the ongoing conflict if it hasn’t been deliberately stopped for strategic or political reasons. In January 2012, disputes concerning transit fees for oil heading to Port Sudan resulted in Sudan began to accept ‘payment in kind’ and load oil onto its own tankers for onward sale. Juba responded with a total shut-down of all production. This was politically popular domestically but caused heavy damage to both economies that were extremely reliant on oil revenues. The lost revenues were partially offset by large-scale loans from the Chinese government that was secured against future oil production. But with these loan deals being made in a year when the price of oil was consistently above $100 a barrel, the falling of the global price of oil will have drastically changed the budgetary calculations on which these loans would have been based on. Despite therefore an abundance of natural resources, therefore, South Sudan’s budgetary problems are crippling. The election of Donald Trump and the European Union that is more concerned with the domestic threat of populism mean that the international liberal order is seeing a retrenchment in its involvement in peace-keeping. The US, which currently supplies 28% of the total UN peacekeeping budget, has begun to complain that its contributions compared to other powers are ‘unfair’. Consequently, the peace-keeping budget has been reduced by $600 million this year alone. reduction of the peace-keeping budget, forcing UNMISS to try to do more with less funding. South Sudan’s ruling class has so far continued to divert what little resources it has away from spending on welfare and infrastructure. Time will tell whether Kiir and his new government will take note and start to address the root causes of the conflict that have so far only devastated the country and its future. South Sudan will only escape the circle of conflict plaguing the country since independence with a more responsible form of governance than what Kiir and his inner circle have so far delivered. They must do more to target the root causes of the conflict, with heavy attention to socio-economic inclusive practices that do not lead to the alienation of certain groups that feel that the only way to alleviate their situation is to take up arms. For a country that has a literacy rate of 27% and is placed 175th/176 on the Transparency International Corruption Perceptions Index, the challenges of state-building are outstanding. They can only be progressed with active interest from a ruling elite to make progress on developmental agendas and heal divisions for the interest of the entire population. 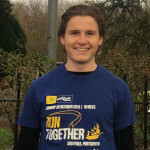 Hamish Baverstock is an International Security Masters Student at Sciences Po Paris, with keen interests in Development Economics and Conflict Studies.